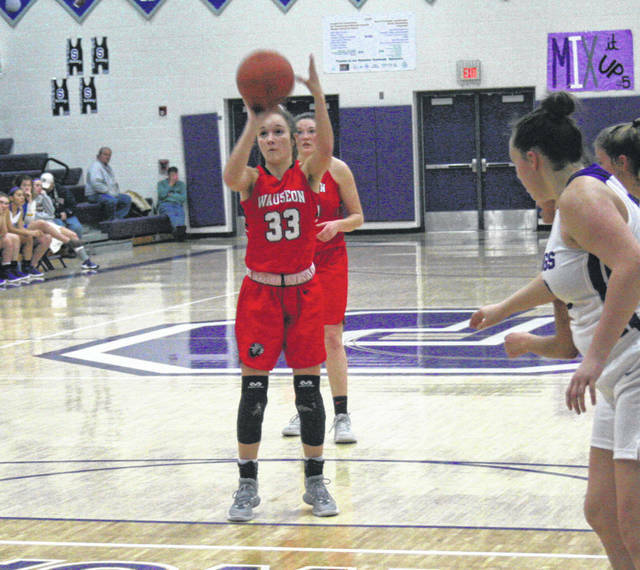 Sam Aeschliman of Wauseon knocks down a pair of fourth quarter free throws during Tuesday’s win over Swanton. The Indians were victorious by a 41-33 final. 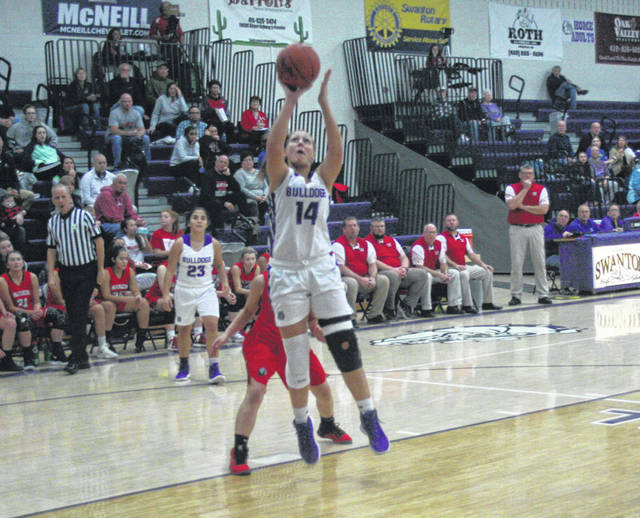 Morgan Pine of Swanton with a basket Tuesday versus Wauseon. On Monday, both teams picked up non-league wins on the road. 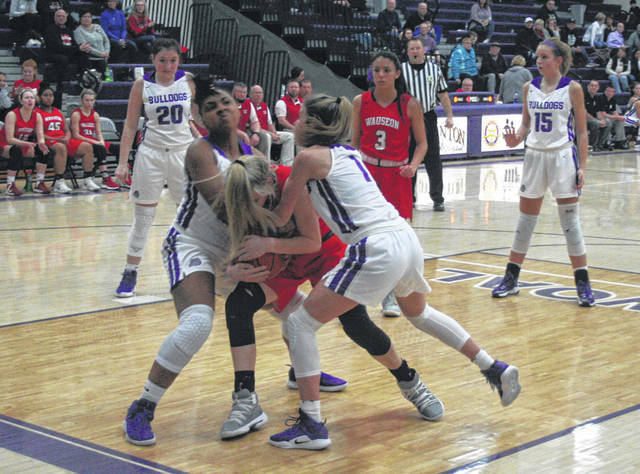 The Dogs topped Cardinal Stritch 39-16, while the Indians defeated Bowling Green 45-36. Seiler paced Wauseon with 19 points in the win over the Bobcats. Wauseon (8-11, 2-3 NWOAL) hosts Evergreen Thursday. Swanton (9-8, 2-3) travels to Liberty Center Thursday and hosts Otsego Saturday.